Swans in the pond sketch. Grunge sketch of two swans in the pond, abstract illustration. 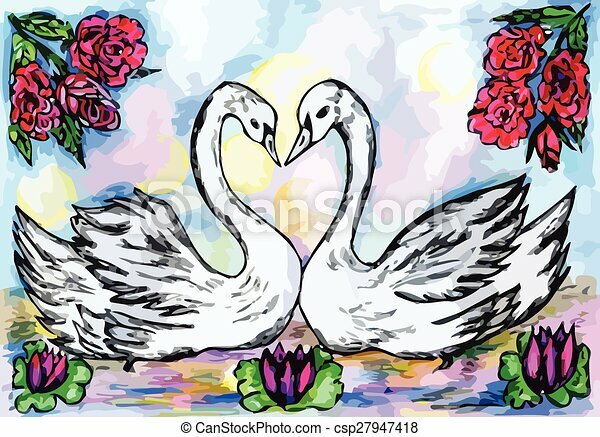 Grunge sketch of two swans in the pond, abstract illustration.